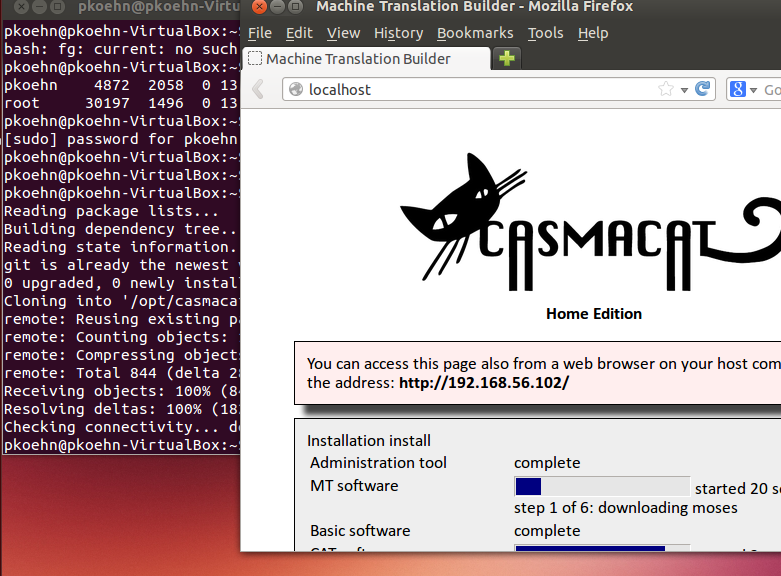 CASMACAT is built as an application that runs on a web server that uses several tools in the backend, such as the Moses and Thot Machine Translation systems. These were developed on Linux. 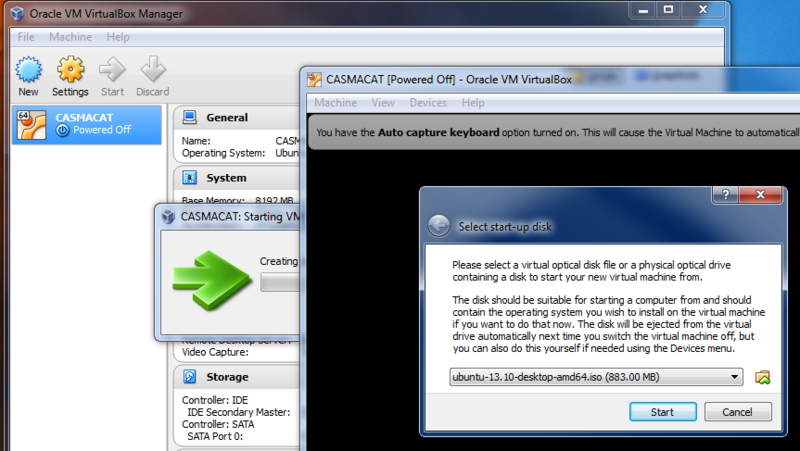 Still, CASMACAT can be installed on any machine - Windows, Mac, you name it. It does require running a virtual machine on your computer. Don't worry that is much less scary than you think and does not cost any money. 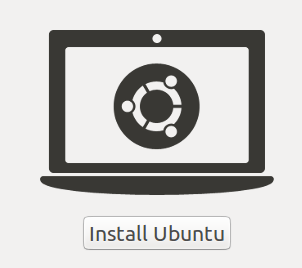 First, download Ubuntu Linux 14.04. This will give you a large file (almost 1GB), so this may take a while. Save this file in a place that you can find. 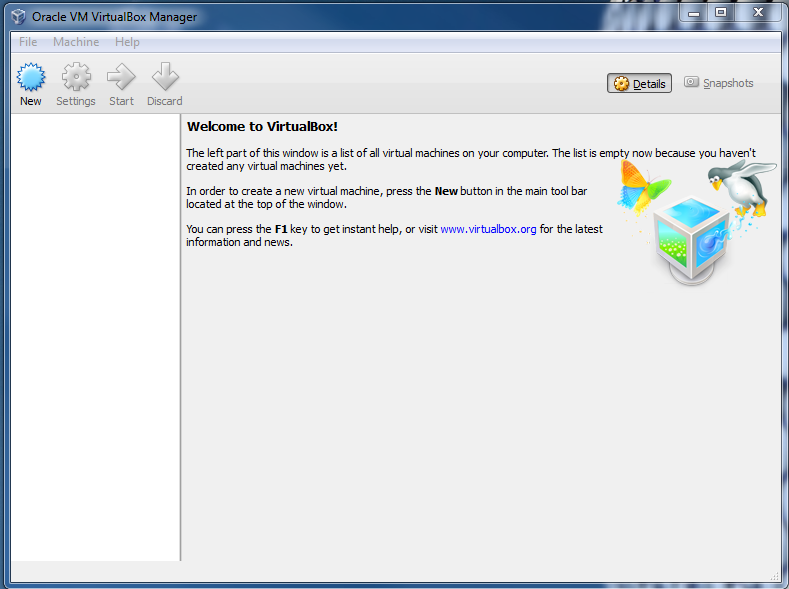 Go to the download section of Virtualbox and follow the download instructions for your operating system. Pick any name, for instance "CASMACAT"
Allocate as much memory as possible. A rule of thumb is half of the memory of your machine (your machine should have at least 8GB RAM, so allocate 4GB). More memory allows you to run more powerful machine translation systems. Allocate as much disk space as you can spare, but at least 100 GB. More disk space allows you to keep multiple machine translation systems on disk, and keep more log files and translated documents. Creating the hard drive is a slow process, this will take several minutes. You will get back to the main screen. 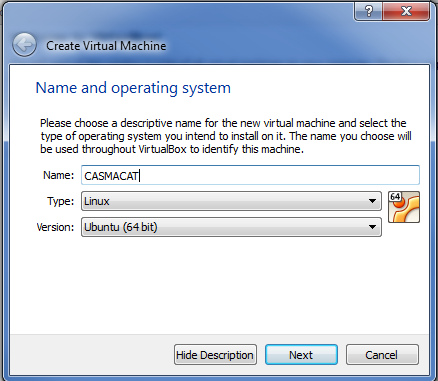 Your virtual machine is now visible as "CASMACAT" with the status "Powered Off"
You now have to install Ubuntu on the your new virtual machine. 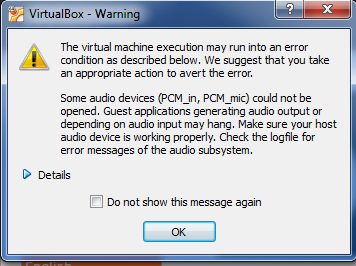 Ignore the warnings about audio devices, mouse pointers etc. 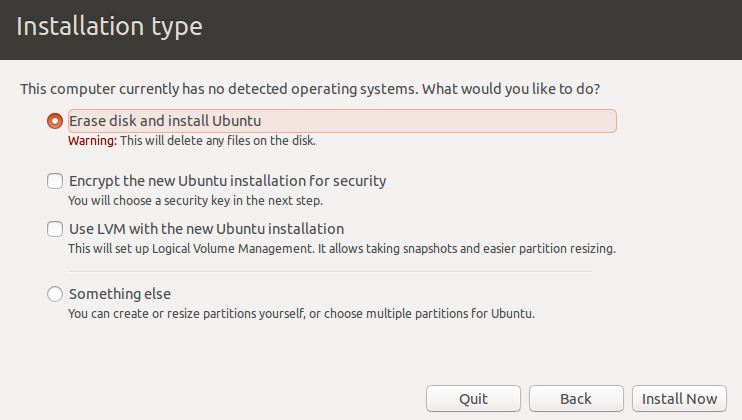 check "Erase disk and install Ubuntu"
do not worry - this only formats your virtual hard drive you just created, not the main hard drive of the computer. in fact nothing you do from now on has any impact on your main computer (called the "host"), only on the virtual machine (called the "guest"). 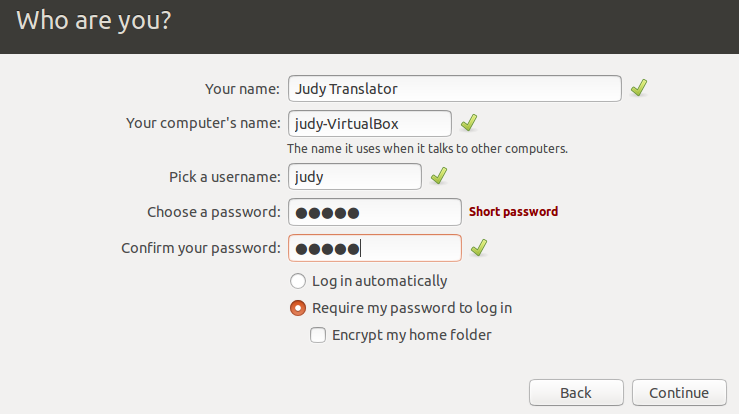 Your name: e.g, "Judy Translator"
Your computers name: e.g., "judy-casmacat"
just click "log in later"
Once it is done, click "Restart Now"
You may get the message "Please remove the installation media...". Just press enter. Once booted, you will see a log in screen with your name. 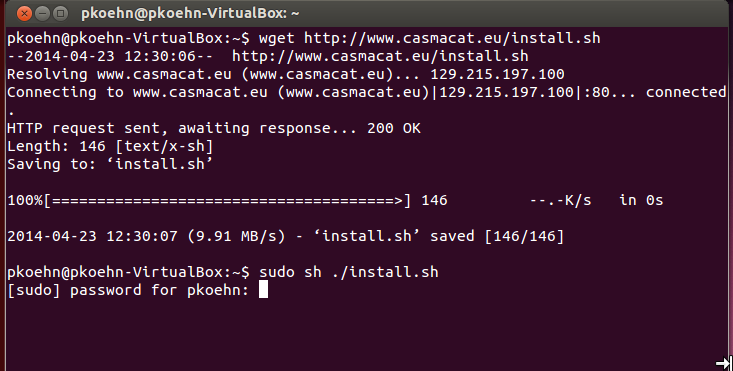 Now we can install the CASMACAT software. Once booted, you will see a log in screen with your name. Enter the password you selected during installation. There will be some messages about your keyboard and mouse pointer. You can close them. After a while, a web browser will pop up which will inform you about the installation progress and also about how to access the virtual machine from your host computer. For more information on how to upload and translate a document, see the upload document guide and follow-ups.